Often a film’s release is preceeded with a degree of controversy that is difficult for the final product to live up to. 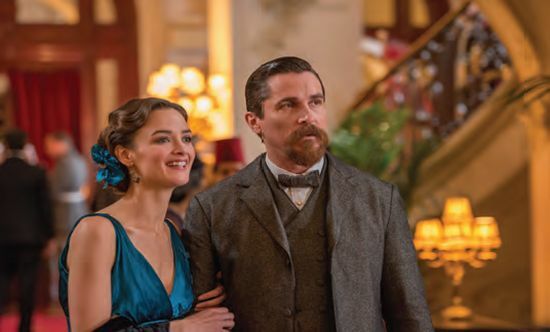 The Promise has just such a problem, being set in the final days of the Ottoman Empire and dealing with the genocide of over one and a half million Armenians, an act still contested by many who protested the film’s release. Nonetheless, after decades of aborted attempts, it has been made and boasts an enviable cast. Oscar Isaac plays a medical student who falls for Ana (Charlotte Le Bon), the girlfriend of an American photographer (Christian Bale). A love triangle begins, but tensions give way to a desperate fight for survival at the outbreak of World War 1. It’s a laudable and well put-together drama, which bravely chooses its setting in an often unreported moment in history. That choice is both a strength and a weakness, as placing the love story at equal billing with the horrors of war gives the film an uneven, even mawkish feel. The parallels with films such as Titanic are inevitable, but the lack of subtlety and spark between Isaac and Le Bon prevents The Promise from coming off favourably from that comparison. For all its romance, however, director Terry George never underplays the tragedy surrounding them. The dialogue may be blunt, but the set pieces never let up. Nevertheless, all three try their best. Isaac is the type of actor who you could happily watch in even the most contrived of stories, while Bale is commanding as his rival, getting the more realistic arc as a boorish man who tries to better himself. French-Canadian actress Le Bon doesn’t quite keep pace with her co-stars, too often relying on longing stares than anything that would flesh out her character. More focus on the conflict would have given this talented line up more to work with, and would have been all the poorer without their presence. As with most controversial films, the worst thing that could happen to The Promise has come to light – it’s good, but not great. A masterpiece would have shone a light on the history, a flop may have prompted another film maker to make something in same period. As it is, we have a solid, occasionally moving, but unforgivably ordinary drama that lets down both the real life story and the actors who portray it.